Apple’s charismatic CEO, Steve Jobs, made an unexpected announcement today via company-wide email, that he was taking a medical leave of absence from the company. This is not the first time Mr. Jobs has had to take a leave for medical reasons, but it is the first time it has been done so without any prior notice. The last major leave came on Jan. 5, 2009 when he left for six months without any indication of what the reason was. The world later learned that he had a liver transplant, which was actually the better option than the fear that his cancer he had reportedly defeated some years earlier, had returned. Since his return to the company after the liver episode later in 2009, his health has again been called into question as recently as Feb. 2010 when it was felt a video clip showed him walking very slowly and with the assistance of Apple staffers. He has appeared on stage without any signs of issues, quieting those fears. What this medical leave may be about is unknown at this time. Mr. Jobs is a notoriously private individual, and the liver transplant wasn’t even admitted to until long after the event occurred. 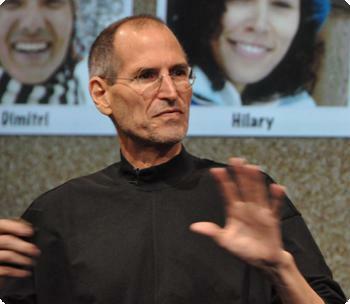 The last time Mr. Jobs hosted an event was last October’s “Back to the Mac” event (pictured to the right), and while he still looked skinny, he didn’t look to be in any sort of medical distress. With the rumor of the iPad 2 to be announced on Feb. 1st, and Mr. Jobs’ love of announcing products, we can’t imagine this leave is something as simple as a hangnail. All of us here at TechnoBuffalo wish Mr. Jobs a speedy recovery to whatever it may be that is ailing him.